With 400 million active daily users and a whopping fifty-six percent of those users making over $50,000 a year, Instagram is a no-brainer when it comes to selling online. Because Instagram is most known as a photo-sharing social platform (with video being used more and more), having an effective strategy to sell your products is crucial! The good news is, once you understand how Instagram works, you will learn how to sell your products to Instagram followers in a less aggressive way than you ever imagined! It’s important to remember that people on Instagram are not there to shop. They are there to see what their peers are up to, look at eye-catching photos, and to read inspiring and relatable content. What does that mean for you? It means you don’t have to be the aggressive salesman (or woman!) that you had to be in the past! 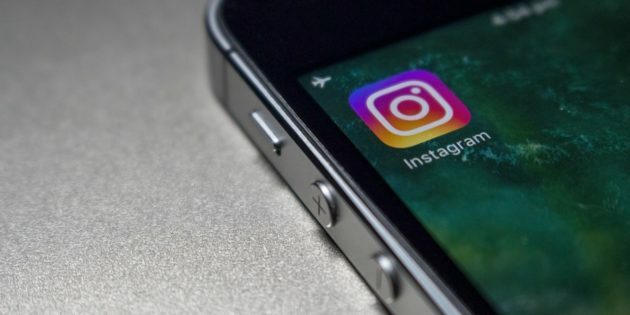 Let’s cover a few techniques you can implement today for using Instagram to sell your products. If you look at the Instagram pages for some of the top brands, bloggers, and influencers, there is one thing you will notice. They have a specific aesthetic to their page, which is all a part of their brand identity. If your followers can easily identify you when the time comes that they need your product they will be able to easily and quickly remember and find you! Using specific colors can also influence and attract your followers. For example, red creates a sense of urgency while blue is the preferred color for men. Who are you most likely to buy from? A complete stranger or someone you know personally? This works the same way on Instagram! People buy from who they know, who they trust or simply like. By setting aside a few minutes a day to thank and conversate with your followers you are building a valuable relationship that will make them want to buy from you when the time comes, leaving you having to sell less aggressively. There is one thing artwork, movies, books, fashion and photography all have in common. They all inspire people in one way or another. Communicating and connecting with your follower’s emotions, is a big key to gaining impulse sales. Not only is it key, but it’s easy! Try tapping into your own emotions, putting yourself in other’s shoes and figure out what problem your product is solving. Once you’re able to do this, implement these tactics into your Instagram photos and posts. Show your followers how your products can be used in everyday life, how it can make them feel empowered or solve a specific problem. You can then use hashtags that will enable them to find your products and brand more easily. Not only can you target using hashtags, but Instagram also allows for advertising campaigns. The best thing about Instagram’s ad campaigns is that they are not as invasive as other methods of advertising. As a matter of fact, they don’t look much different than regular posts! Between work, family, and play, people just don’t have time for complicated transactions anymore. Simplicity plays a huge part in the selling process. If you can get a potential follower to the checkout cart in a simple manner, you are much more likely to make the sale! Since Instagram does not allow its users to post clickable links within posts, it does make it a bit more challenging to send people directly to a product on your site or a checkout cart. Have no fear! With apps such as LikeToKnow.It, you easily get around this little problem. You can also a clickable link within your profile description, so if you have a sale going on don’t forget to add or change that link. It’s safe to say that the salesmen and saleswomen of the internet are influencers. This brings us back to the idea of people buying from who they know, trust and like. Influencers have literally mastered this concept. You can reach a massive audience by using influencers that specialize in your specific industry. Be sure to do your research first and remember that sales are a numbers game. The more audience you can reach, the more potential sales you can get. Also, make sure when researching influencers, you don’t just go by the number of followers or likes. It is most important to look at the engagement and find out how many sales of previous products were a result of the influencer. When you first start out selling on Instagram, it can be intimidating but with a little knowledge of the platform and experimenting with different strategies, you will be making sales in no time! Aggressive selling can be a thing of the past by following the tactics mentioned above and with a little dedication, you will soon agree that Instagram is hands down, one of the easiest ways to make this sales method successful.